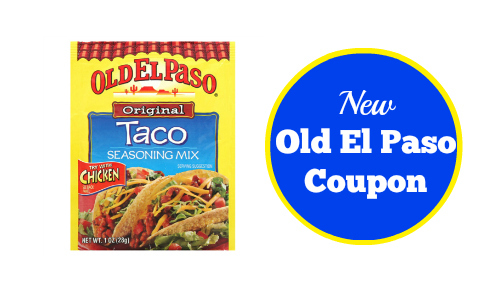 Home > Printable Coupons > Old El Paso Coupon | Makes Seasoning As Low As 21¢! Old El Paso Coupon | Makes Seasoning As Low As 21¢! There is a new coupon for Old El Paso Products that is going to make for some really awesome deals. Grab deals on seasoning, taco shells, and more! You can even pair the coupon with a Upromise or SavingStar offer to make the deal even better. All coupons exclude Refrigerated, Frozen & Soup items. Makes it 21¢ ea. after Upromise! Makes it 35¢ ea. after Upromise with $1 off meat! Sale available 6/4-6/10 or 6/5-6/11.